Go – watch this again – do it if you can. 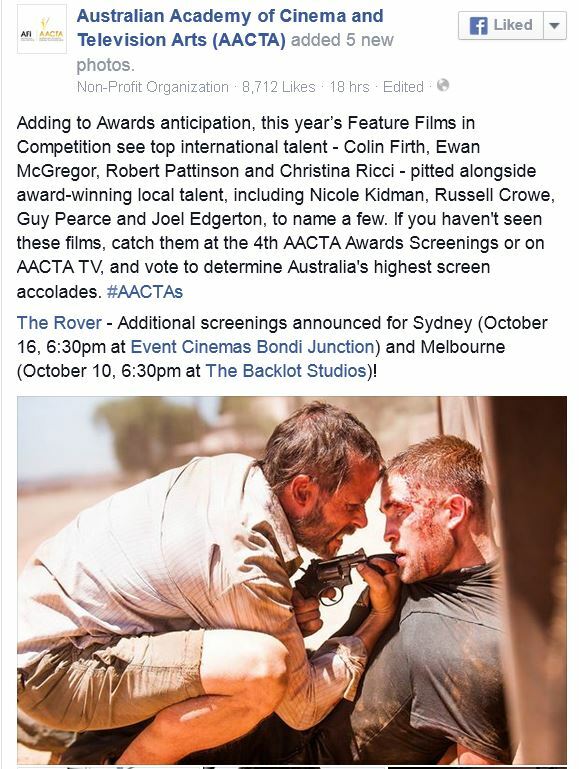 Australian Academy of Cinema and Television Arts (AACTA). Posted in Award Ceremonies, The RoverTagged Awards ceremonies, Guy Pearce, Robert Pattinson, The RoverBookmark the permalink.